Guest Blog: Will the Supreme Court further roll back accountability and immunize foreign corporations from judicial scrutiny? This week, the Supreme Court will hear oral argument in DaimlerChrysler v. Bauman (docket 11-965), a case that has received little attention despite the fact that it has the potential to dramatically alter the ability of federal and state courts to assert jurisdiction over foreign corporations. The case involves claims brought by former employees and family members of deceased employees of a Mercedes-Benz plant in Argentina who were violently kidnapped, tortured, and killed against DaimlerChrysler AG (now Daimler AG), a German corporation that owns the plant. The company’s wholly-owned subsidiary, Mercedes-Benz Argentina, is accused of conspiring with, directing, and aiding and abetting state security forces to carry out egregious human rights violations during Argentina’s “Dirty War” in order to silence union activism and maintain the company’s production levels. The plaintiffs filed suit in 2004 in federal district court in California, asserting that jurisdiction was proper due to the substantial and systematic business Daimler conducts in the state through another wholly owned subsidiary, Mercedes-Benz USA (MBUSA). Technically, MBUSA and Daimler are “separate” corporate entities; however, they shared the same chairman, MBUSA sold cars solely for Daimler, Daimler set prices for the cars, had authority over virtually all aspects of MBUSA’s operations, and received all of MBUSA’s profits. The district court initially dismissed the case, agreeing with Daimler that it lacked jurisdiction. On appeal, the Ninth Circuit reversed the decision, holding that a court may exercise general jurisdiction over a foreign corporation when its subsidiary acts as its agent in the forum state, performing a role important enough that, if the subsidiary went out of business or otherwise could not perform that role, the parent corporation would sell the product itself or through a new representative. The Ninth Circuit found that because MBUSA acted as an agent for Daimler in California, jurisdiction was reasonable. Now before the Supreme Court, the question presented is whether a U.S. court can assert jurisdiction over a foreign corporation on the basis of services performed in the forum state by the corporation’s wholly owned subsidiary. The Supreme Court agreed to hear the case just days after issuing its decision in Kiobel v. Royal Dutch Petroleum, which limited the ability of victims of human rights abuse to bring cases against foreign corporations under the Alien Tort Statute (ATS) when the abuse occurred outside the U.S. Many commentators see Bauman as a sequel to that case because, like Kiobel, Bauman is a case against a foreign corporation, under the ATS, for human rights abuses that occurred in another country. The issue here, however, is actually much broader. While Kiobel considered only the narrow question of whether an ATS claim could be brought in a case involving foreign conduct, Bauman is not limited to claims brought under the ATS, and will raise questions about the ability to bring claims against a foreign corporation at all. Daimler—and the Chamber of Commerce—have made a number of sweeping arguments that, if accepted, could fundamentally alter the jurisdictional reach of U.S. courts. According to Daimler, the Due Process Clause prevents a court from exercising jurisdiction over it on the basis of its U.S. subsidiaries, even where the subsidiary carries out the parent’s business, on the parent’s behalf, and for the parent’s benefit. Daimler and the Chamber have gone so far as to argue that there is a constitutional right for a parent corporation to be treated as separate from its subsidiary—an argument that has never before been recognized and is fundamentally at odds with the history of the corporate form. Indeed, the Supreme Court has already rejected the notion that due process requires separate treatment of a parent and its subsidiary. In Mobil Oil Corp v. Comm’r of Taxes of Vermont, the Supreme Court considered Vermont’s tax on companies doing business within the state, which was based upon a share of their total income earned inside and outside of the state. Mobil argued that due process required that dividends from subsidiaries that were not incorporated in that state, did no business in the state, and were not managed in that state must be excluded from the calculation of total income because they lacked a sufficient nexus to Vermont. The Supreme Court, however, concluded there was no due process problem because, irrespective of corporate formalities, Vermont’s tax treated a “functionally integrated enterprise” as a unitary business. Such treatment is consistent with the fact that federal and state laws often treat corporations and their subsidiaries as single entities for purposes of attributing civil liability or other obligations. Corporations are, and always have been, the creation of states, possessing only such rights as were expressly granted. No corporation has a constitutional right to be a corporation, let alone a constitutional right to a particular organizational structure. Daimler’s sweeping constitutional arguments are also contradicted by the historical understanding of corporate personality at the time of the passage of both the Fifth and Fourteenth Amendments. Corporations were in fact expressly prohibited from owning other companies until the end of the nineteenth century. The parent-subsidiary relationship was unheard of; only the simple, single entity corporate structure was permitted. Due process requires only that the maintenance of a suit not offend “traditional notions of fair play and substantial justice.” Corporations purposefully avail themselves of the privileges of doing business within a forum state by virtue of their subsidiaries. Under Daimler’s view, however, that privilege does not come with any responsibilities. The case deserves far more attention than it has received. If the Court accepts Daimler’s position, it would call into question existing laws in areas as diverse as tax, labor, and antitrust. Worse, it would effectively insulate foreign corporations from lawsuits anywhere in the United States—even when the plaintiffs are U.S. citizens. As long as they keep a separation, on paper, from their U.S. subsidiaries, foreign corporations would be able to enjoy all of the privileges of doing business in the United States with the guarantee that their operations will not be subjected to scrutiny by U.S. courts. Michelle Harrison is a Human Rights Attorney and Bertha Foundation Fellow at EarthRights International, a Washington-D.C. based non-profit organization specializing in legal actions against perpetrators of human rights abuses. EarthRights International submitted an amicus brief in this case. Update, OCT. 15: On Tuesday, October 15th, the Supreme Court dismissed Madigan v. Levin as improvidently granted. The Fall 2013 Term of the U.S. Supreme Court began Monday with an age discrimination case, with broad implications for civil rights enforcement under the Fourteenth Amendment to the Constitution. A lively argument left questions as to whether the Justices had chosen the right case to begin their year. In fact, many justices expressed skepticism about whether Madigan v. Levin, No. 12-872, was properly before them. Madigan v. Levin is a challenge to a 7th Circuit ruling, 692 F.3d 607, upholding the right of Harvey Levin, a former senior member of the Illinois Attorney General’s Office, to contest his termination, allegedly based on his age, under the Age Discrimination Employment Act (ADEA), the Equal Protection Clause of the Fourteenth Amendment, and Section 1983 of the Civil Rights Act. The petitioner, Illinois Attorney General Lisa Madigan, argued that the ADEA is the exclusive remedy for age discrimination claims. She asserted that federal anti-discrimination statutes, including the ADEA, are so comprehensive as to demonstrate Congress’ intent to preclude a parallel anti-discrimination claim under the Constitution, and therefore that the ADEA displaced any competing, constitutional claim for age discrimination under the Constitution or § 1983. The 7th Circuit also affirmed a judgment that qualified immunity did not shield Madigan from Levin’s § 1983 claim for damages. To establish a qualified immunity defense, a defendant may show either that the plaintiff failed to set forth a viable claim, or that the rights allegedly violated were not clearly established at the relevant time. The 7th Circuit’s ruling did not disturb the trial court’s decision that Levin had no age discrimination claim under the Age Discrimination in Employment Act of 1967 (ADEA), because his former job fit within an exemption to ADEA coverage. Our full report on the current term is available here. Much of the government still may be shut down on Monday, but the Supreme Court will be open for business. Every year, the first Monday in October ushers in a new Supreme Court term, during which the nine justices of the Supreme Court will decide critical constitutional and statutory questions that will shape the future of our rights and our everyday lives. 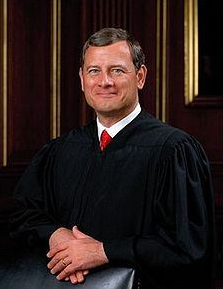 Last term, the Roberts Court continued its trend of favoring corporate and other powerful interests over those of everyday Americans. The conservative bloc of five justices shielded generic-drug manufacturers from liability for harm caused by their drugs, curbed access to justice for consumers by making it more difficult to litigate against big business, and greatly restricted the ability of individuals facing workplace discrimination to bring claims against their employers. How easily may the police search our homes or our cars? What are the rights of the indigent when it comes to effective counsel and fair sentencing? What recourse do consumers have when they are harmed by corporations? When can people who have been discriminated against seek redress in the courts?